The group says this is due to “much higher training costs” in the UK compared to other countries and members have now met with Treasury minister Robert Jenrick in a bid to reverse the trend. With Boeing estimating the world will need 800,000 new pilots in the next 20 years, campaigners want to see VAT and Excise Duty slashed or scrapped for students wanting to become pilots. 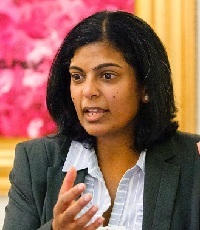 Parliamentary chair of the APPG’s STEM jobs and skills working group Dr Rupa Huq MP said members were also pressing the minister to persuade the government to take off the 20% VAT on AvGas, which is used in training aircraft. APPG chair Grant Shapps MP said: “With 45% of future airline pilots having their education supported by their parents, it is essential the government commits to a policy that allows for people from all backgrounds to afford flight training.